I grew up in a sewing home. My mom frequently made my sister and I clothes, more for enjoyment than out of economic necessity. Kenmore sewing machine, scissors, and thread surrounded me and there were frequent trips to Joann Fabric. By the time I reached middle school, I could make a dress, too. Mom bought a book to help her get started and once again, a seed fell on some fertile ground. 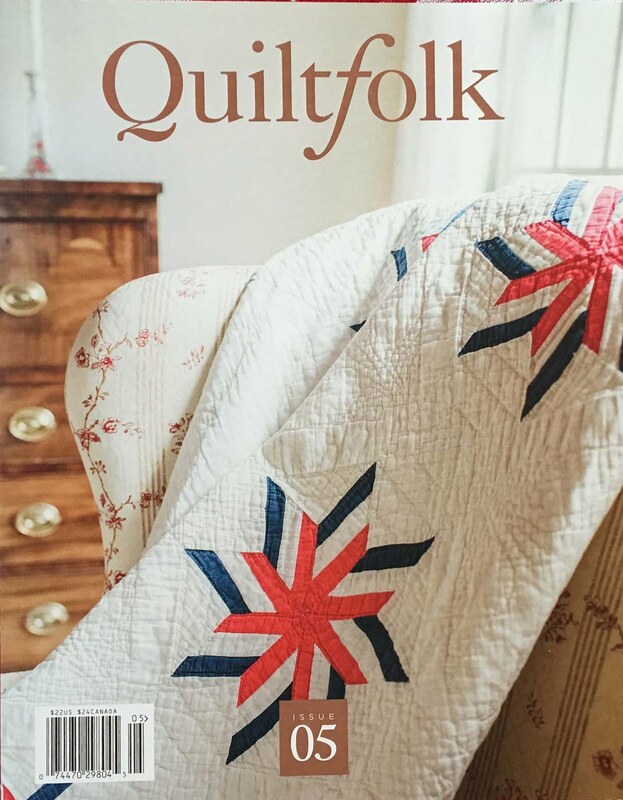 I have laughingly referred to it since as “the book that changed my life.” Let’s Make a Patchwork Quilt” was about making a sampler, and was divided into easy, intermediate and advanced blocks. I leafed through it a hundred times. Of course, the “advanced” section held my interest most, and one particular block caught my eye: the Virginia Star. So it began. Diamonds were lovingly cut from a cardboard template, one piece at a time. I remember working on it especially right after college graduation, in a tiny Brooklyn apartment, in between job interviews. It was such a treat to take it out and sew--- a guilty pleasure on days when I probably should have been making phone calls and pounding the pavement. I knew that one part of life was ending and a new one starting—one that might not include many sewing days. A phone call might come any moment, with a job offer and a place to be 40 hours a week, catapulting me into adult life. It spent its first years on my Brooklyn bed, as a young bride. In our first home, my husband “lovingly” cut holes in the binding to insert a rod—he felt it was a piece of art, deserving to be on the wall. I, having no concept of a hanging sleeve, lovingly agreed. Still later, a little four year old boy took a marker to it, for which he received quite a tongue lashing, but those marks are now a happy memory. Thirty five years later, my quilt and I are now antiques, but serve as a reminder how God held me through the anxiety of finding that first job and many roads and travels good and bad after.